I know, I know. It’s been way too long that I added a new post to this blog. Mea culpa. In part I have been busy with “book tour” , promoting my latest tome, Inside the California Food Revolution, which came out in September. It has been critically well received and has great reader comments on Amazon. Food Arts Magazine and Plate magazine, two prominent trade publications have recommended the book to their readers. But there has been no response from the East coast. No events.,No reviews. It is a bit like being trapped in that old Saul Steinberg New Yorker magazine cover where Manhattan looms large and the West coast is but a dot on the horizon. Naturally this has messed with my head. After all, they are eating a lot better on the East coast because of what we did here in California. I guess it’s hard for some people to recognize it and say thank you. Because of the book I have given lots of talks to food groups, women’s groups, and book aficionados.These have been well attended and stimulating. There are more talks on the horizon so please look at the event calendar on this site. I have been greatly saddened by the passing of Judy Rodgers. Too sad to write. I so admired her work, her cookbook, and , above all, her amazing palate. 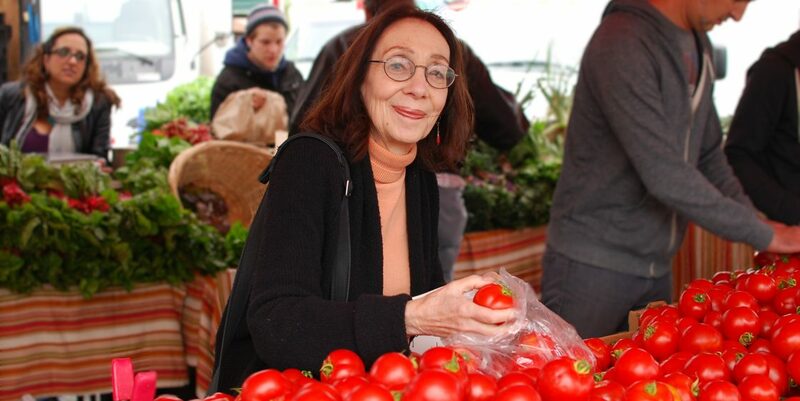 She was not obsessed with trends and the need for constant change, concentrating instead on refining and perfecting her cooking every day, supporting our farmers and seeking the best ingredients. I knew how sick she was and kept in touch during this terrible time. She is quoted at large in my book and all of us are poorer because her voice is stilled and her amazing palate no longer in action at Zuni. Ironically the only time my book was mentioned in the New York Times was in her obituary written by Eric Asimov. So what is on the horizon for me in 2014. Good question. I had been writing for The Sommelier Journal since their inception, but they are out of business. A fine publication, has gone under and that is really too bad. I am in conversation with University of California Press about another book and we are talking about topics. Any requests?? So I am in limbo for a little while. I am a workaholic, always chomping at the bit to start a new project. But taking some time to think and wait patiently (not my best skill) is going to be a good lesson for me, I hope. Happy New Year to all. Stay tuned…..